I’m Abid Elahi from Machowa, Baghi Mehtab. I have done my high schooling from B.K Pora Govt School. I moved to Delhi to complete my Computer Hardware and Networking Diploma for 3 years from Jetking Computer Hardware and Networking Institute Gurgaon and CCNA & CCNP certification from Koeing Bangalore. I’ve also done Mobile Software and Hardware Technical Designing from Hi-Tech Institute of Mobiles from Karol Bagh, New Delhi. I have worked for many MNC’s like iYogi, Barclays, Convergys and HCL in Delhi and Gurgaon. During my job also I used to give classes on weekends. How did you first decide to learn martial arts? I think martial-arts was already in my blood. Wherever I saw anyone doing some martial-arts stunts or practicing that, I got fascinated a lot. I used to watch and practice at home. I loved fights even in my school, Shining Star, which is in Baghi-Mehtab. We used to organize fights in our lunch breaks with the higher classes. Chinese, Japanese and Korean movies have played a very vital role in my martial-arts career; learned a lot from watching movies only. 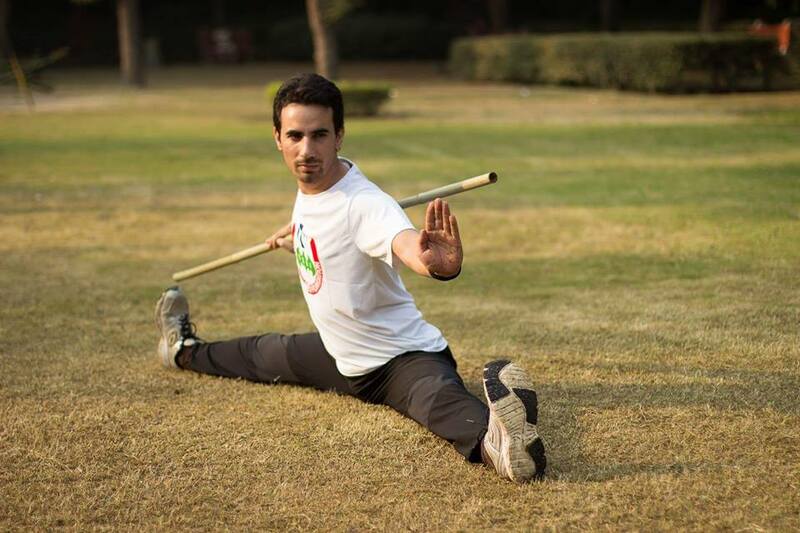 Delhi KungFu club is the name given by our Grand-master Shifu Mang Tombing. My association with him started in 2010. He had already trained many students like me before in Delhi. He used to train students from other countries also. Gradually, on one hand, I used to take classes from him and on the other hand, I also used to give classes to some students at different locations in NCR. 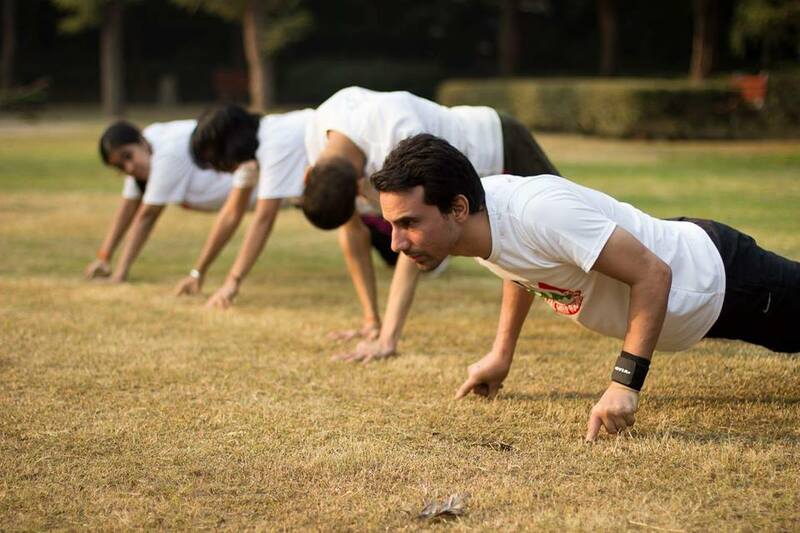 I first started giving classes in 2015 at Deer Park Hauz Khas New Delhi. I got a good response from youngsters and promoted my business online using Facebook and Instagram. I started training group classes as well as private for some students. At different timings, we had different sessions, like self-defense batch and fitness batch. How many women would you have trained in Delhi? I think our academy has trained more than 200-300 students so far. What training do you offer to women in Delhi? We train Situation Effective Protection System (SEPS), a self-defense course designed to make everyone more aware, prepared, and ready for any situation that may occur in everyday life on any given day. Martial arts is effective in building esteem and a healthier body. However, they are overrated for self-defense. The reasons for this is martial arts can be taught improperly as well as taking too much time and effort to really master. For more effective self-defense tactics, women should look at empty-handed or unarmed fighting techniques, some of which are designed just for women. This type of empowerment training is also quite efficient as well as fierce. For example, we train them for real life situations like if we assume someone is following them, how do they counter that practically. We train them hand locking techniques wherein a woman learns the moves to counter when anyone grabs their hands. 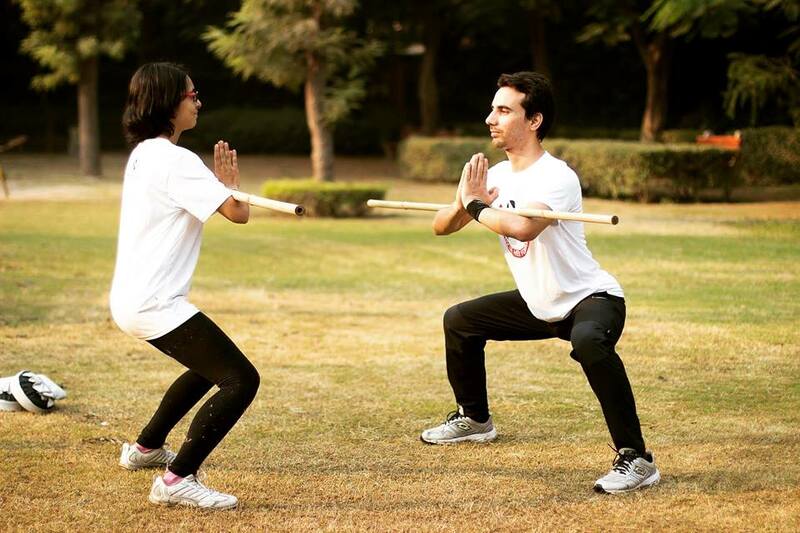 Though women in Delhi focus on fitness more than combat technique like KungFu. Majority of the people are health conscious. If any female student registers, we train them on KungFu because our focus has been on combat style. It totally depends on a student what he/she is interested in because we cannot train someone who is not interested. However, we got a good response when we introduced a short and compact course, Women’s Self Defense Combat. Being a Kashmiri what was the response of women who got trained under you? Well, some of my students still don’t know that I’m a Kashmiri guy. They join with an impression that I’m a foreigner, training here because the accent and looks of a Kashmiri doesn’t match with any other state in India. Some students get to know and some not. It is just running like this. Being a Kashmiri is a gift from Allah and we are proud of it.